After a surprisingly benign run down from Fremantle, we arrive in Denmark early afternoon. Sarah’s sister and the rest of the crew aren’t arriving until the next day. We’ve not given much thought to how we’ll fill the gap, and resort to coffee and unexpectedly fine chocolate brownie to fuel a planning discussion. 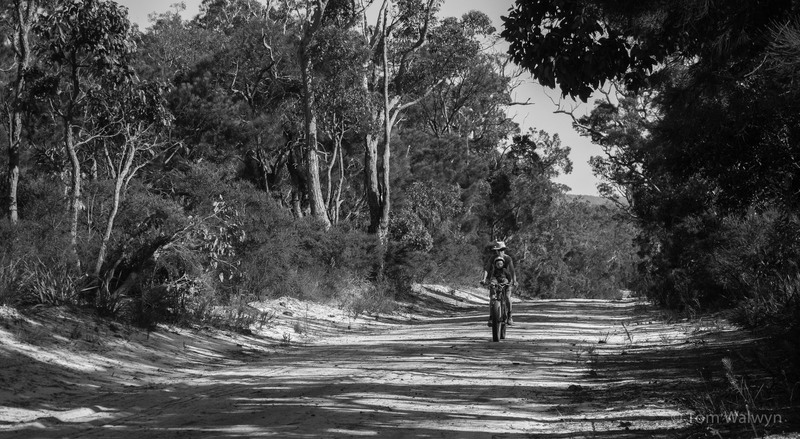 A ‘she’ll be right’ perusal of our new Munda Biddi maps covering the shiny new finally completed bits shows a flat-ish section with a hut on it together with a bit of dual-track dirt road for a return loop the next morning. Less than an hour later we’re parked, unloaded and heading off. We manage to carry all we need in two Porcelain Rocket seat packs, my frame bag and the Chariot. We opted to put a tent up at the Booner Mundak hut rather than disturb the family who’d already set up when we arrived. 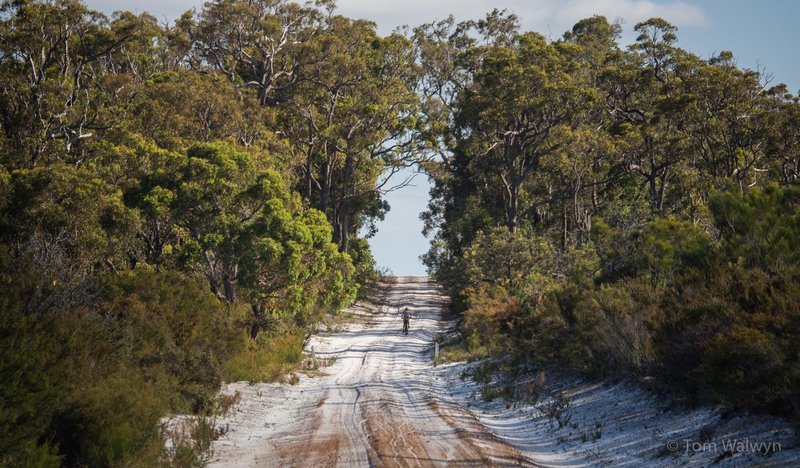 Not long afterwards we meet our return route – Gum Link Road. Things narrow down some, with a stream crossing and less room for manoeuvre. While Bryn continues to be the master of all he surveys. 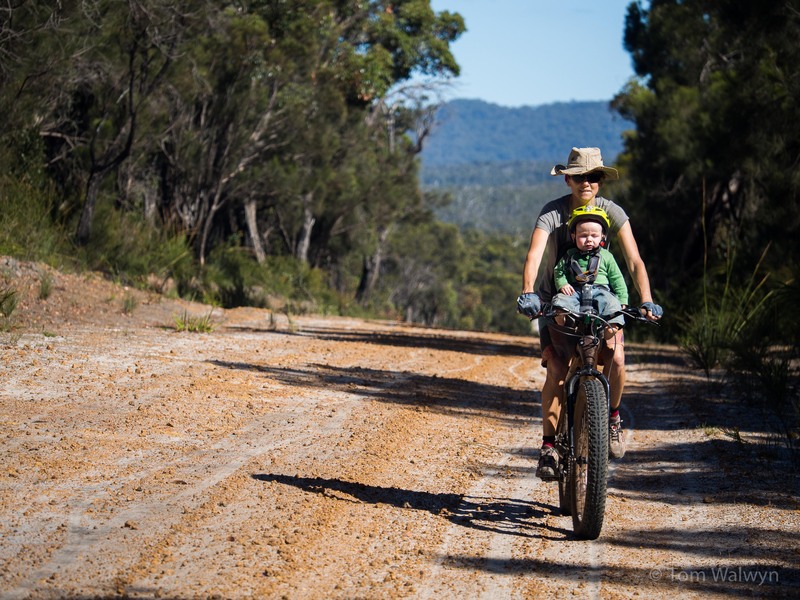 Munda Biddi (Map 8 – Walpole to Denmark) including Booner Mundak Hut (rainwater tank etc) with return leg along Gum Link Road (stream crossing and some areas that would be wet in winter). Link to gpx file, elevation profiles etc here. Looks like you enjoyed the trip and as usual great pics. Nice equipment. Beautiiful part of WA. Quick questions, what is the helmet Bryn is using and what is the child seat he is perched on? Thanks for taking the time to reply, that’s twice the Yepp Mini has popped up in the last week on different sites, and just when I’m looking for something to take our 6 month old out and about with us. 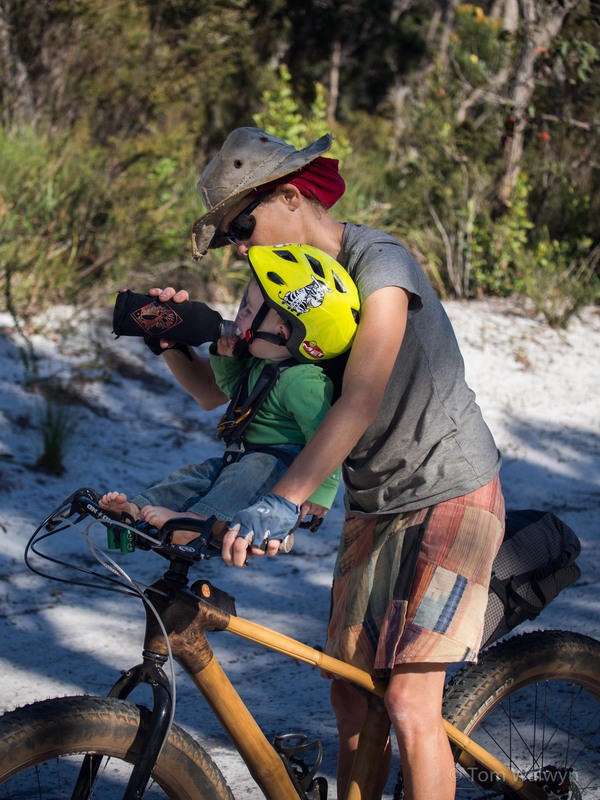 Kidbikepacking rocks. It gets harder as they get older, until they reach some magical age (older than my kids), but it is always totally worth it. I have it in my head that one day we may do the Munda Biddy as a family trip. It looks like my idea of fun. The obvious question to me is how rideable would the trail be in winter? I am a guy who thinks -40 is a great ride temperature, so much over 20 would be pushing my limit, but riding through deep water and mud would not be cool either. 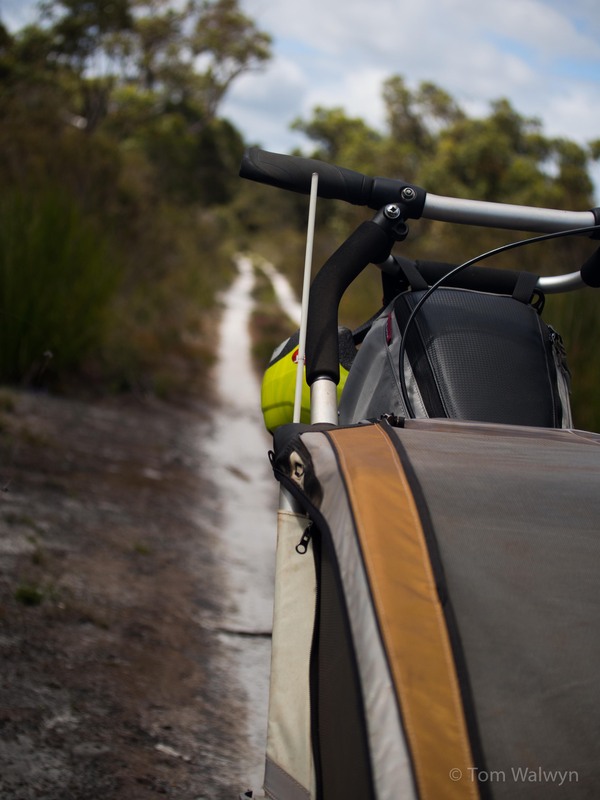 The Munda Biddi is rideable in winter – most people do it in spring/autumn when the temperatures are better (but never 40 below). For people riding non-fat bikes this also helps with trail conditions because the pea-gravel firms up. 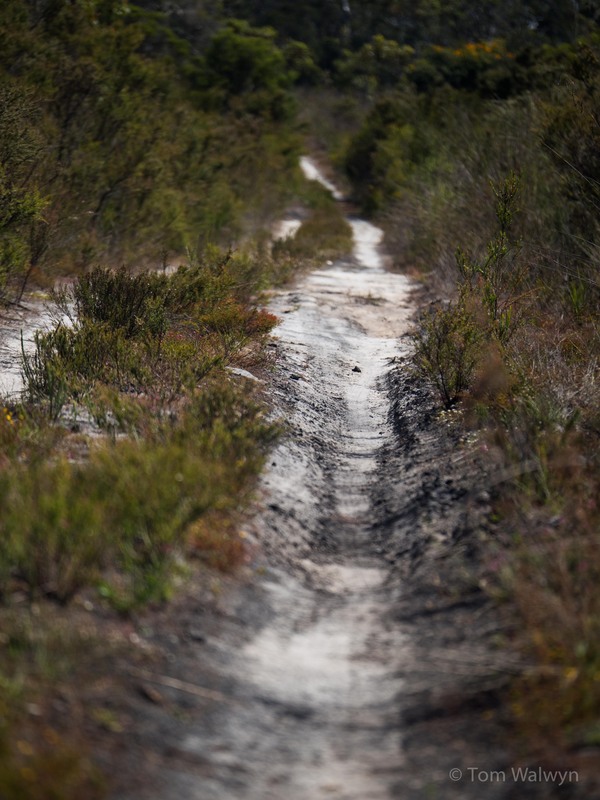 There are some parts of the trail that have ‘proper’ singletrack, and mostly there are easier ‘touring route’ options that would work better for trailer pulling or kids etc. 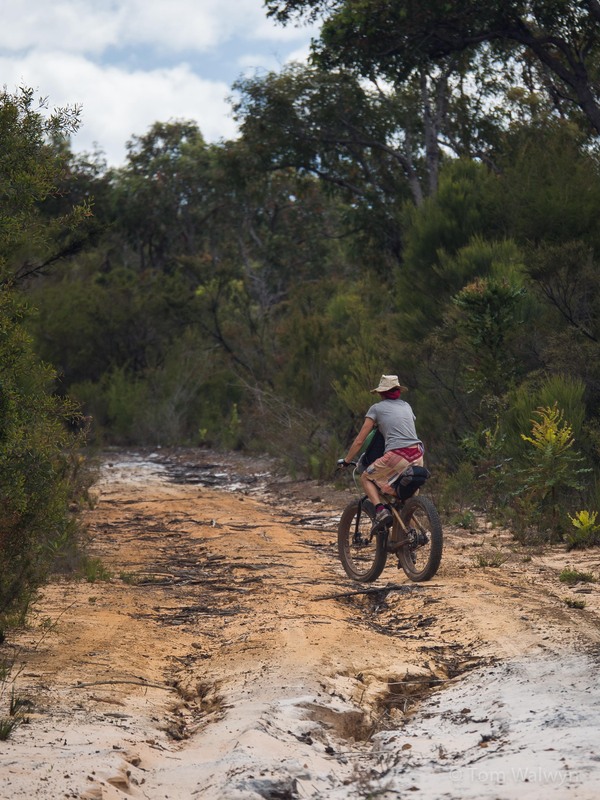 In the middle of winter (very much a relative term compared to what you’re used to), the trail may be quite wet, but it doesn’t make it unrideable – just a bit soggy. 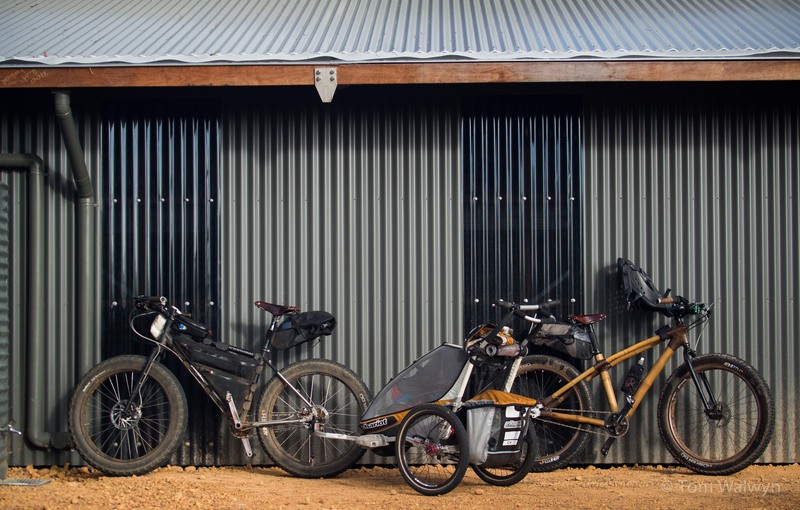 Nothing fat tyres can’t handle – and the regular huts make getting dry etc reliably possible. Looks like great fun. Can you tell me what kind of child seat you are using in the pictures? It looks fantastic!